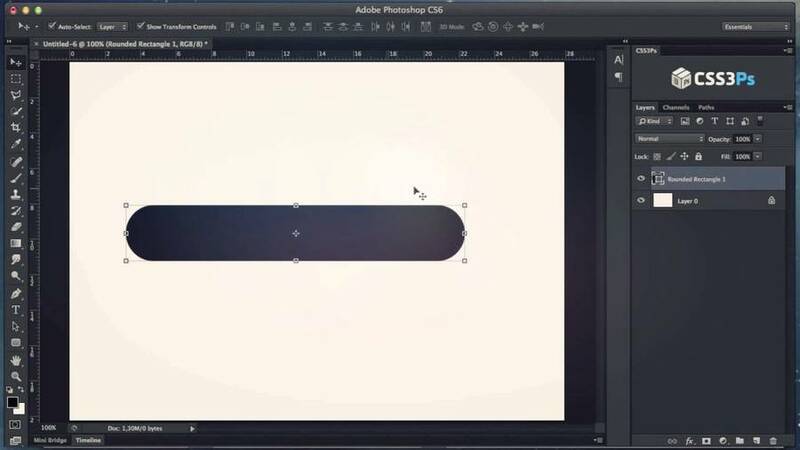 Photoshop plugins provide a quick and easy way to extend your design creativity. Here we handpicked 22 best photoshop plugins for designers and artists in 2018. Photoshop is a design tool that every designer must use. 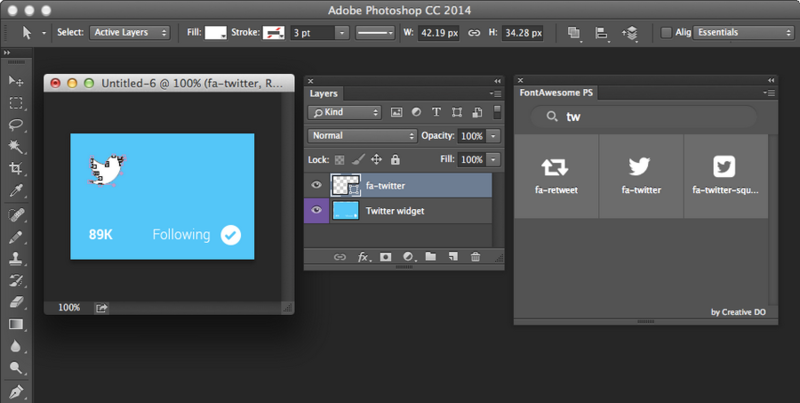 In order to meet specific design requirements, everyone will likely make use of Photoshop plugin at least once. 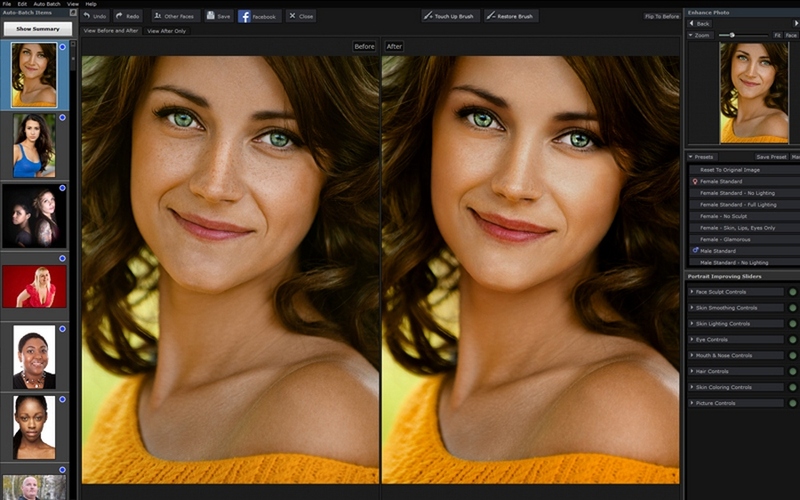 This article has compiled 22 of the best Photoshop plugins for designers. Let's take a look. Mockplus iDoc is a faster and simpler product collaborationdesign platform. The main user group for Mockplus iDoc includes product managers, designers and engineers. Its core functions include: Generating Specs Automatically, Cutting Assets in One Click, Various Note Styles, FastInteraction, Full-View Dashboard, and Team Management. From product to development, it truly allows for a more efficient and smooth collaboration method within a single document, reducing communication costs andimproving product efficiency. Quick interaction. 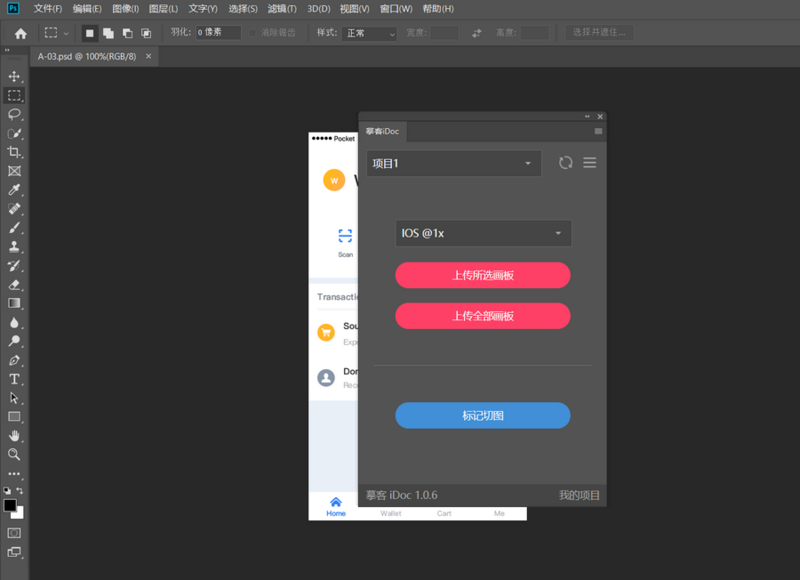 You can set page jump interaction, quickly create high-fidelity interactive prototypes; support 9 kinds of transition effects, set delays for automatic jumps, you can also set a fixed scrolling area; and generate links for demonstrations. Mobile project also supports mobile phone demonstrations. Full-view storyboard. All design screens are displayed in the full-view storyboard, which can be scaled freely; logicallines can be set and logical descriptions can be added between two screens toshow their logical relationship; navigation map is also supported for quick positioning. 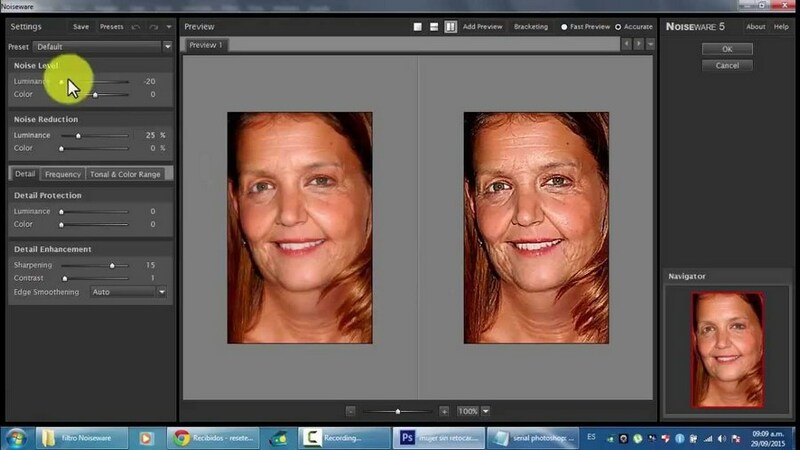 GuideGuide is an aid for Photoshop. With this software, standard guides can be easily created, making it easier for designers to create productions and save time in drawing. The software operation is relatively simple, just load the plug-in into Photoshop and you can complete the production of various auxiliary lines. 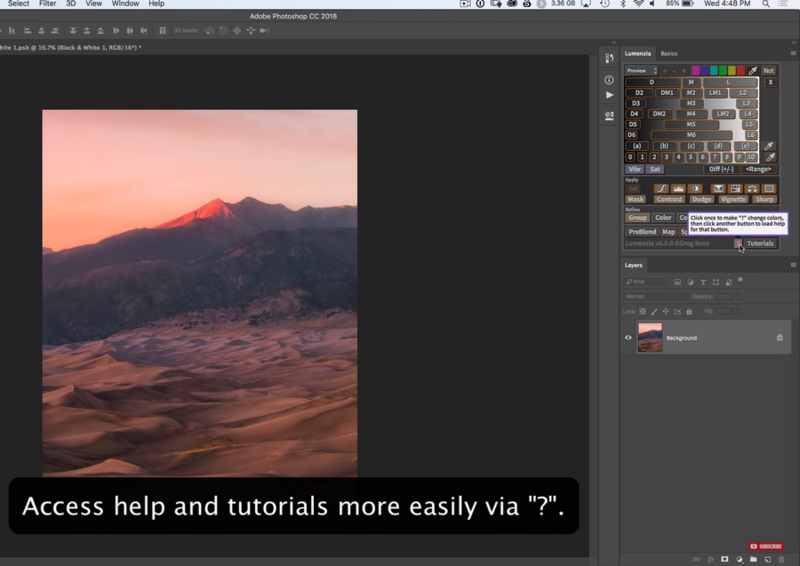 Lumenzia is a Photoshop mask extension that adds urban-stylefilter effects to images in PS. The plug-in supports various effects for adjusting brightness and area range, and can also customize the adjustment area, add color, and so on. 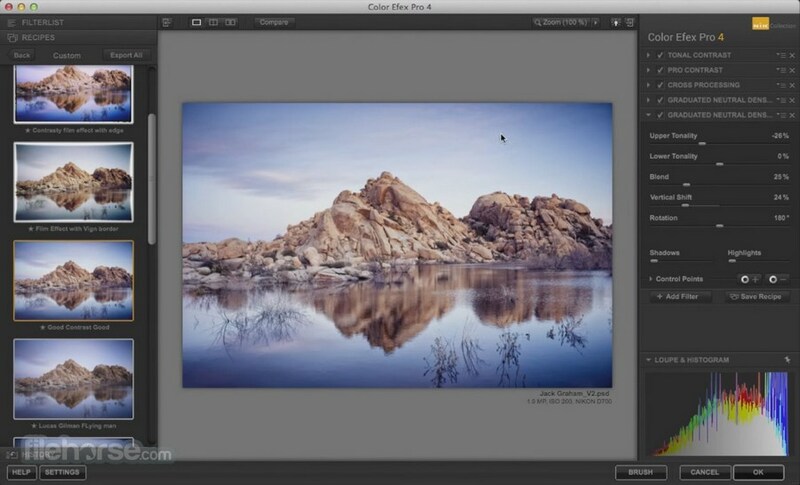 Fluid Mask 3 is a tool that can help with PS images. The plug-inis very rich in editing functions, supports a variety of brush tools, can load photos of the map into the editing area, and use different brush tools to process them to optimize images. There is also support for edge width adjustment,and masking auxiliary functions such as design, tone adjustment, grab, zoom,and photo. Long Shadow Generator is a Photoshop long projection plugin.The long projection effect is very common in web design, UI elements and icons. In addition to supporting long projection in 4 directions, this long projection plug-in also supports setting the projection length. CSS3Ps is a PS layer conversion software that converts layers into CSS3 code that can be viewed in a browser, making it easy to add relevant design elements directly to your design. The operation process is very simple,and the conversion task can be completed with a simple operation of the mouse.When converting, you can select either a single or multiple layers and implement batch processing by clicking on the conversion. 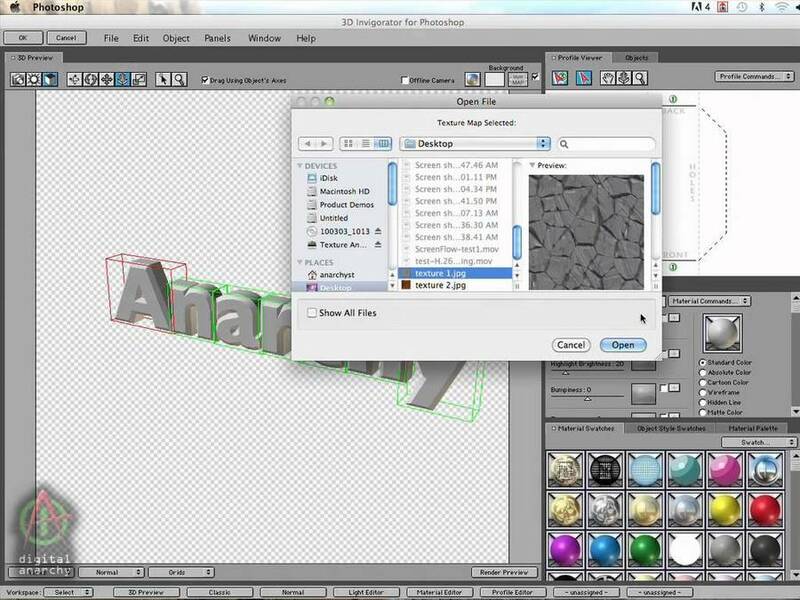 Multi-layer selection: You can convert one layer independently ormultiple layers. 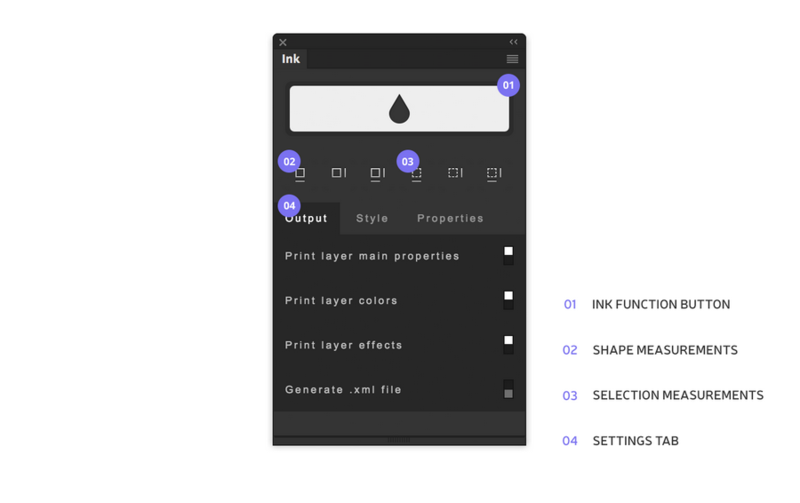 Ink is a PS extension that helps display details of Photoshoplayers. This plugin allows you to quickly generate detailed information about a specific layer, such as, size, color, etc., to provide layer information for the front end. With this plugin, designers can easily export specification documents so that there is no inaccurate front-end output due to lack of specification. You can record information about each layer corresponding to the graphic, such as: color, shape, size, gradient, shadow, etc. CSS Hat is a PhotoShop plugin that automatically converts PS Deffect layers into CSS style code.This plugin is quite helpful for web designer or development related workers, and the generated CSS styles can be used directly, saving a lot of time. 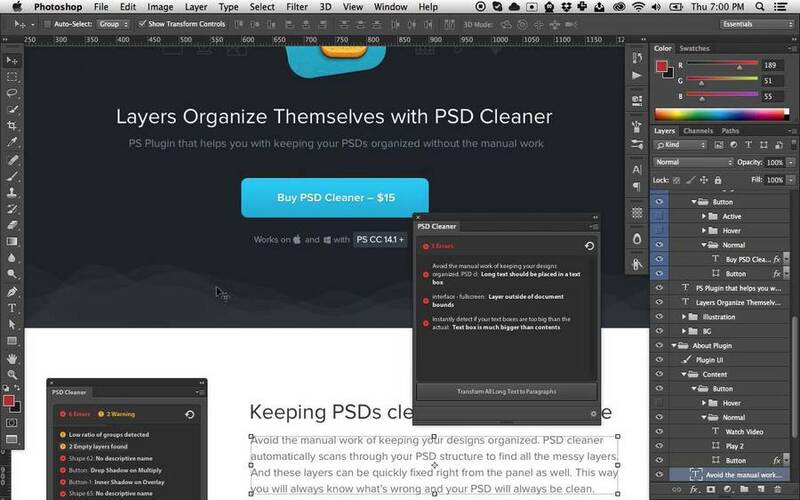 PSD Cleaner is a plugin that helps find and fix confusing PSD layers.Designers can use it to easily organize PSD design documents. The software will automatically scan the structure of the PSD document, sort out them easy layers on the operation panel, and quickly repair them so that the documents are neat and orderly. Patching CSS compatibility: Some Photoshop effects are not supported by CSS. This plugin can help you find them and fix them. Copio is a plugin that can quickly copy layers to another PS document. In the past, you had to "right click - select duplicate layer -select paste destination". 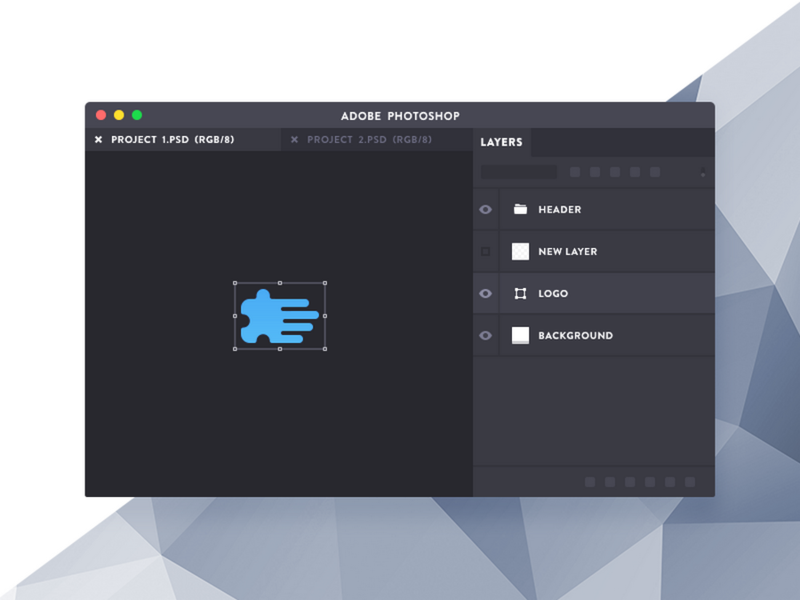 The Copio PS plugin makes layer operations more efficient and increases user productivity. You can copy and paste layers directly to another PS window with shortcut keys. 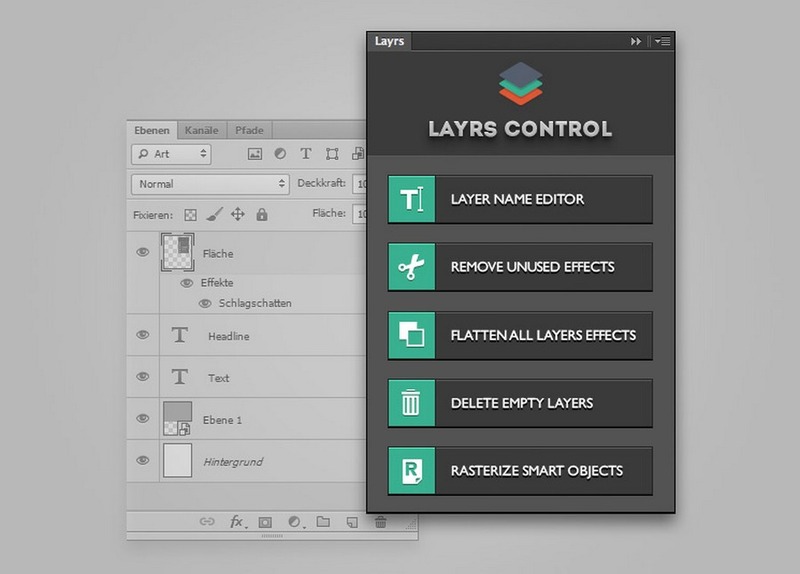 Layrs Control is a plugin that helps manage Photoshop layers.With this software, you can modify the edited layer. Usually in the PS, the design of the layer can be modified at will, but it is more troublesome to modify after the design is completed, and the steps of the operation will be more complicated. With this PS layer control plugin, it's easy to delete blanklayers, duplicate layers, selected layers, edit layer names, and more. 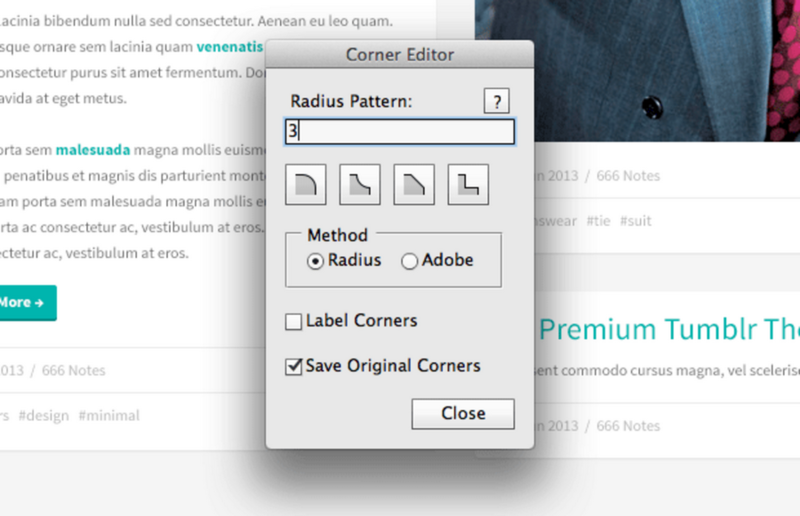 Corner Editor quickly rounds corners. The cool thing is that this plugin is made with Photoshop Script and features a full graphical interface, making it easier to use. As a visual designer, this rounded insert is not to be missed. 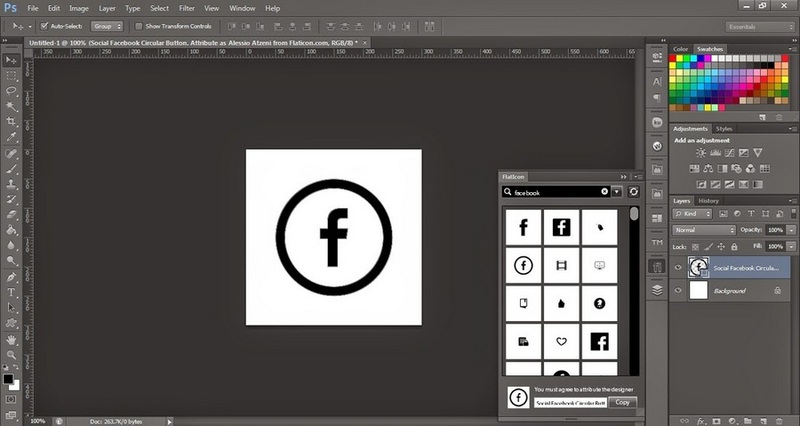 FontAwesome is a free and easy to use web font icon that can be used directly in Photoshop. As long as it is introduced in CSS, you can generate icons directly through the class. At present, the number of icons has been updated to 585, including commonly used APP UI application icons, brand icons and so on. CSS control. As long as CSS supports it, it can be displayed regardless of color, size, shadow or any other effect. ON1 Effects is a powerful library of PS photo palettes with hundreds of stackable filters, presets, borders and textures. ON1 Effects can be used toadd an HDR effect, convert to black and white, show more detail, reduce noise or enhance portraits, helping users solve all their filter problems in one step. Adobe Camera Raw is an image processing software whose main function is to process raw pictures taken by digital cameras. This software can be inserted into PS, and the camera device can be connected to the computer to effectuate data transmission, making for the convenient processing of image content on PS. The ability to select photos or videos that can be imported depending on how the camera is connected. Digital Anarchy Texture Anarchy is a Photoshop texture filter plugin that contains a number of beautiful preset texture schemes. There are 3 very nice material packages in the plugin that provide rich texture control, four adjustable lights, a full gradient editor and 38 different basic noises. Textures are generated by geometric operations and can be scaled to any resolution. Blendme.In is a PS icon plugin that is popular with web designers and mobile UI designers. Blendme.In offers a lot of great UI designe elments such as icons, UI kits, etc. The material copyright is free. 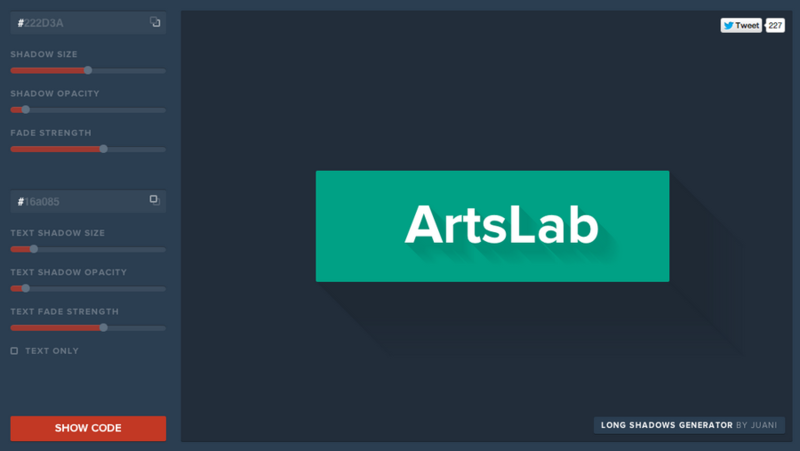 The material format is a layered PSD or AI vector file. Once installed, users can quickly search for resources by keyword. Provides many excellent UI design elements such as icons, UI kits,etc. 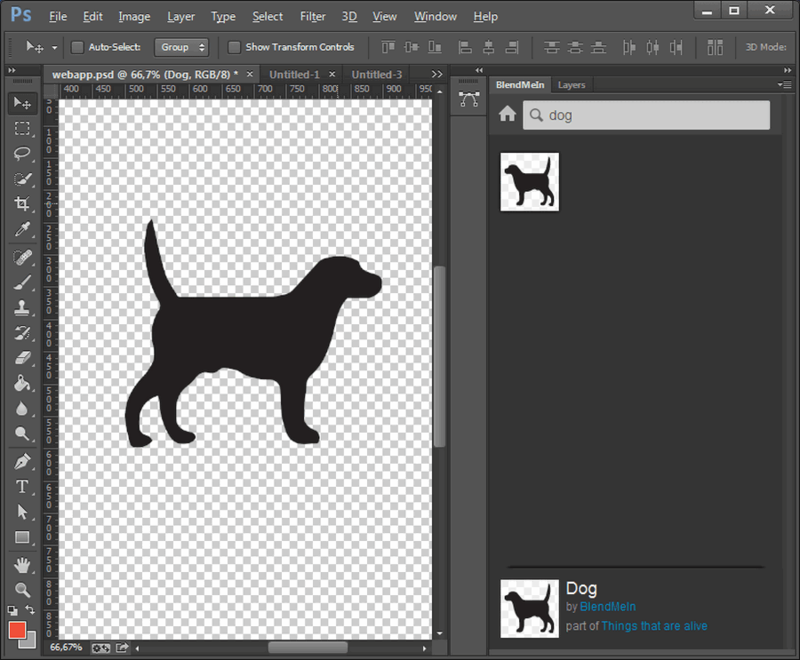 Flaticon is a PS icon plugin. The main content the software comes from flaticon.com, which has a lot of icons. Whether you download a single icon or download an industry or domain design icon, you can find it onthe website. Fontea is a PS font plugin. 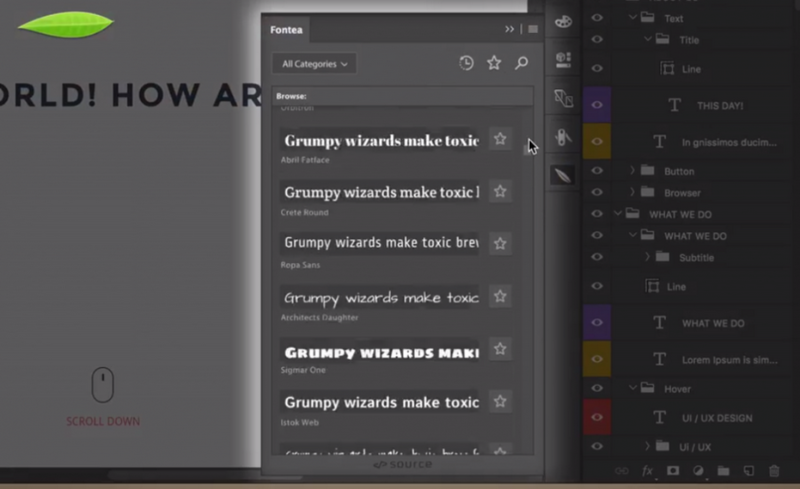 With this plugin, you can directly use the fonts from Google Fonts directly within Photoshop. Google Fonts features over 700 fonts, all for free. You can collect your favorite fonts for quick use again in the future. 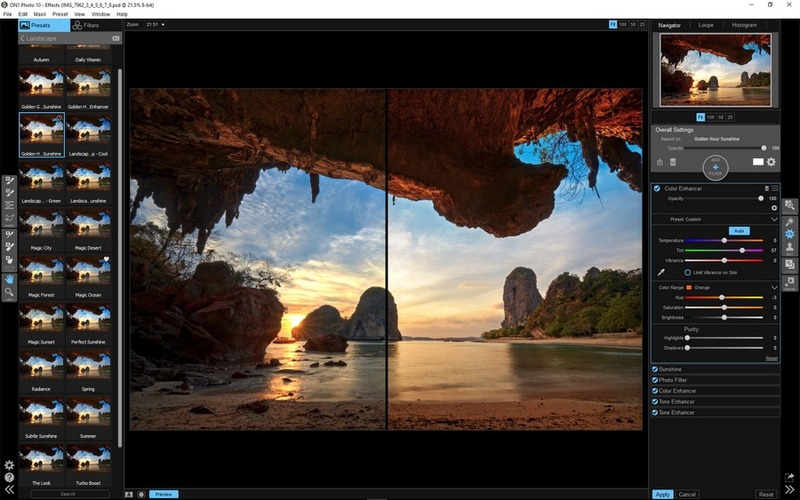 Noiseware filter is a professional PS picture noise reduction software. 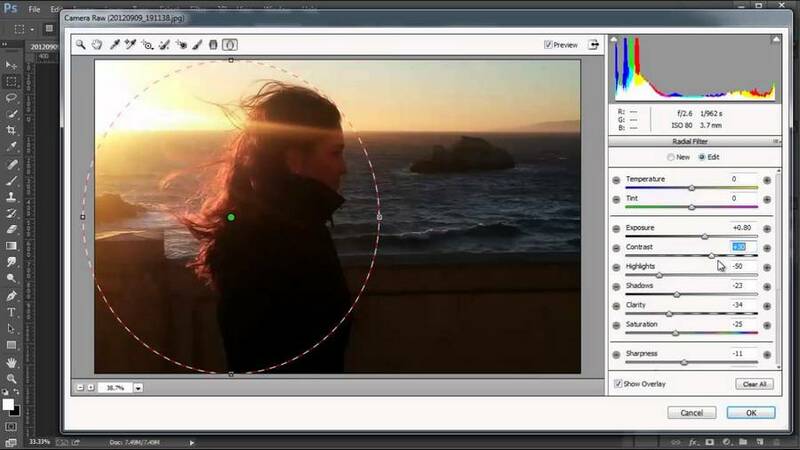 Through the software, the noise of the picture can be reduced, and the parts where noise can be optimized is automatically detected. An optimal noise reduction value is automatically calculated, and the noise reduction can be completed according to the internal data adjustment. You can use filters to adjust color parameters and how the configuration controls are handled. PortraitPro is a smart portrait landscaping and dermabrasion software that allows users to reduce people’s wrinkles, black spots, shines,etc. in their PS photos. The software contains a large number of beautification tools. In addition to repairs the software can also make character makeup.